I have been in the mortgage business and financial services since the mid 1980's and my passion for helping people fulfill their home ownership and their financial dreams is as strong today as ever!! My experience combined with my company being a first class, direct mortgage lender help make those dreams happen. Call Philip Engel at (305) 384-1801. We recently found Phil through our realtor for the financing on our new home. We had a very emotionally charged and complicated situation. I had recently lost my job and was purchasing a new home with my parents. Phil was extremely professional, knowledgeable and caring. He was able to maneuver through all of the details with ease, find the best approach that fit our needs and was so compassionate. My father, who is elderly, was difficult to persuade and just plain crotchety! Phil listened, empathized and even went above and beyond making calls on our behalf to obtain the necessary documentation and information. The process, although always daunting, was simplified with his assistance and caring. We were able to sail through underwriting and obtain approval much earlier than our closing date due to his thoroughness. I have to say, trust was initially an issue. We were new to Florida and had never met him before. It didn't take long for Phil to gain our trust through his professionalism and dedication. He was always available for any questions (which we had many), and answered our questions thoroughly in terms we could understand. I would recommend Phil in a heartbeat to anyone looking for assistance with financing. He is a gem in a sea of stones. I am grateful to have been able to have his assistance and expertise... I am confident you will be as well! My good friend and ReMax agent, Frank Alfieri, recommended Philip Engel to us when we first listed our home for sale last May 2014. He assisted us with repairing some credit issues which was a BIG HELP in the long run in getting a into a great mortgage program. When the time came for applying and processing loan for our new condo, Philip and his team provided EXCELLENT service through the whole process. We closed on our condo 3/13/15 and couldn't have been happier knowing that Philip and his team were a major park of this streamlined process. We thank him and his associates and would HIGHLY recommend them in all real estate transactions. Phil was very professional and knowledgeable. He provided me with different options that were best for my situation and gave me advice and pointed me in the right direction. As this was my first home purchase I had many questions that he was able to explain and help make it as stress free as possible. I recently got a mortgage with Phil Engel. From the absolute beginning Phil was an a great pleasure to deal with. The process without him might have been fearful. Phil is very efficient, knowledgeable and resourceful. I would absolutely will recommend Phil to anyone who is looking to get a mortgage. A wonderful experience! I have already started sending opportunities to Phil and I am more than pleased with the response and attention he has displayed with those customers. As you all know I can be very demanding and critical of the servicers and agents I hold relationships with. Thus far Phil has certainly lived up to those high standards and I look forward to a great business to business relationship with Midwest Equity Mortgage. Ive found over the years that having a good mortgage broker by your side can save you and your customers time and money when a thorough evaluation their lending capabilities (or lack there of) is done. 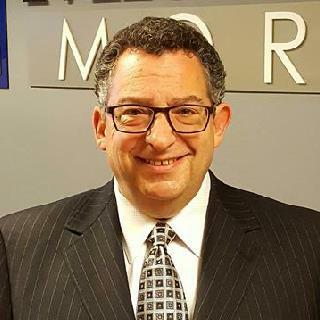 I've used Phil Engel twice to refinance my home and each time he is so knowledgeable and not only does he make it a stress-free experience but also one that's enjoyable. I would recommend him to anyone who is looking to buy a home or refinance, you won't regret your decision! Ready to apply? Philip is ready to help! Click the button below to apply online now.